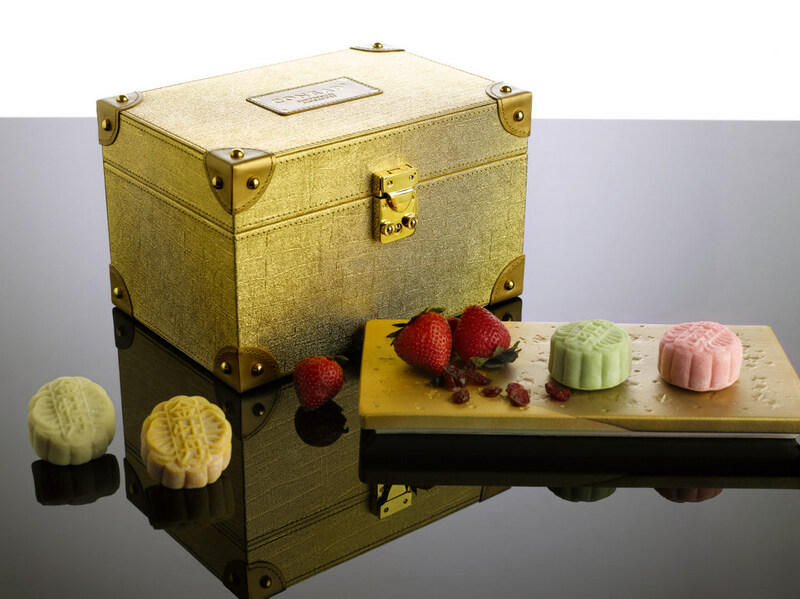 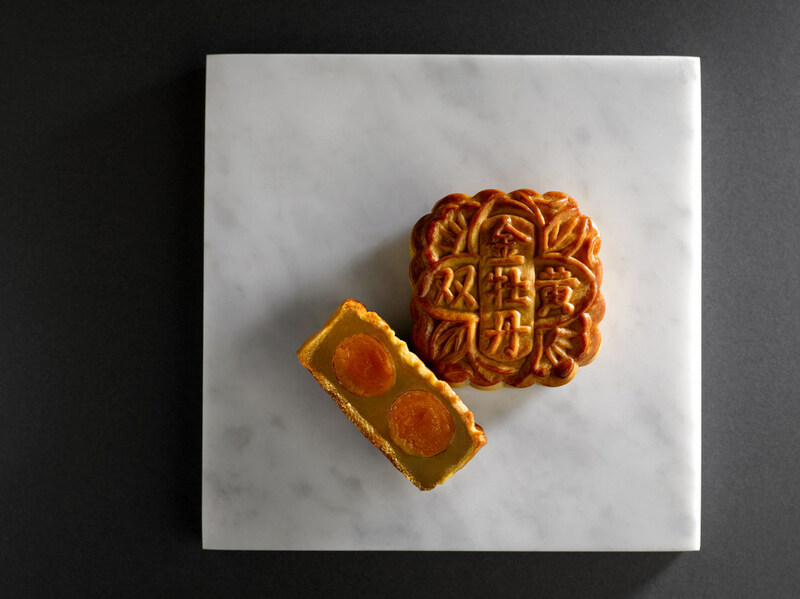 Celebrate this year Mid-Autumn Festival with exquisite mooncakes from Conrad Centennial Singapore. The perennial favourite include the selection of Traditional Baked Mooncakes. 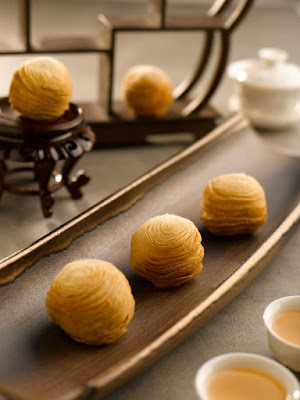 My personal favourite still is Traditional Baked with Double Yolk in White Lotus Paste. 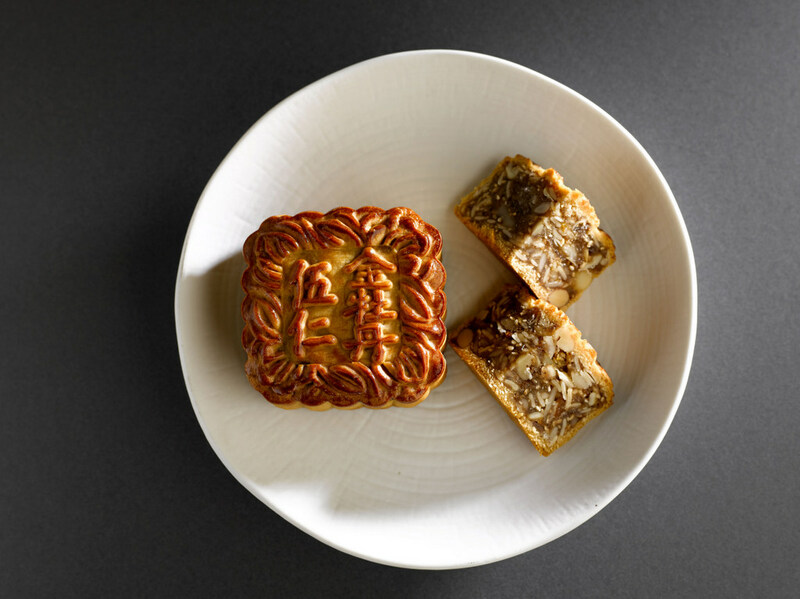 It is perfectly baked on the outside, with solid white lotus paste filling and bold yolk flavour. 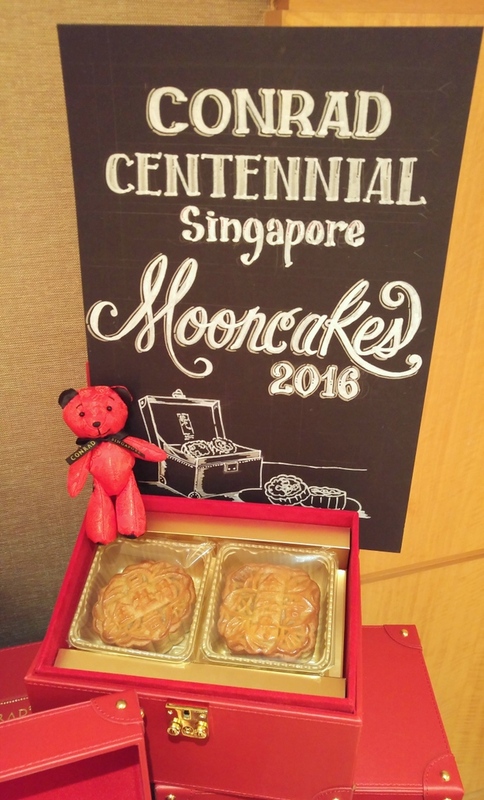 The sweetness of the mooncakes are just right for my taste. 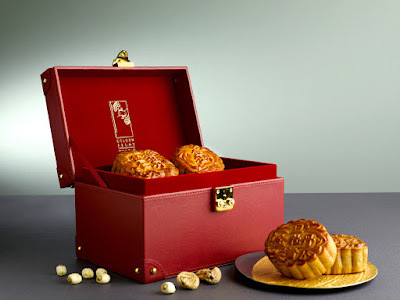 A sign of a good mooncake is that you don't feel overwhelmed and always looking forward for more. I have experienced it through the Traditional Baked With Double Yolk in White Lotus Paste. Golden Peony’s signature Sweet Potato Mooncake in Crispy Filo Pastry will also be available this year. For those who prefer snow skin, there are four different type of snow skin mooncakes. 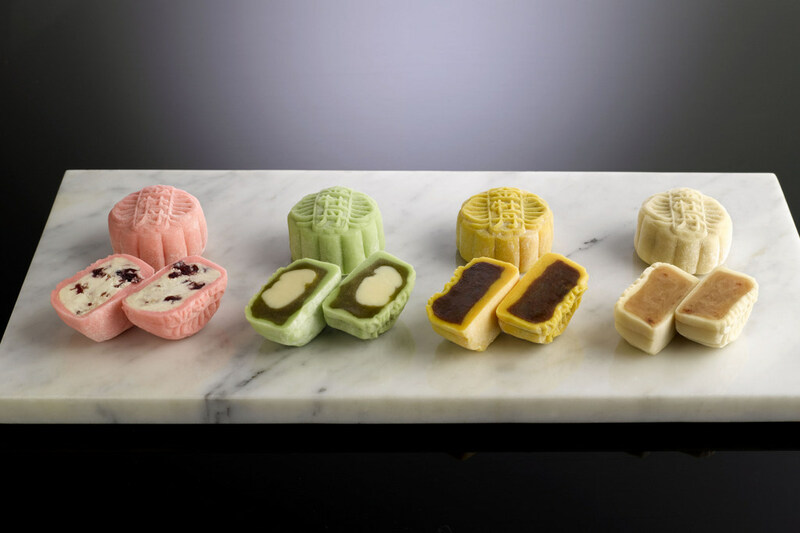 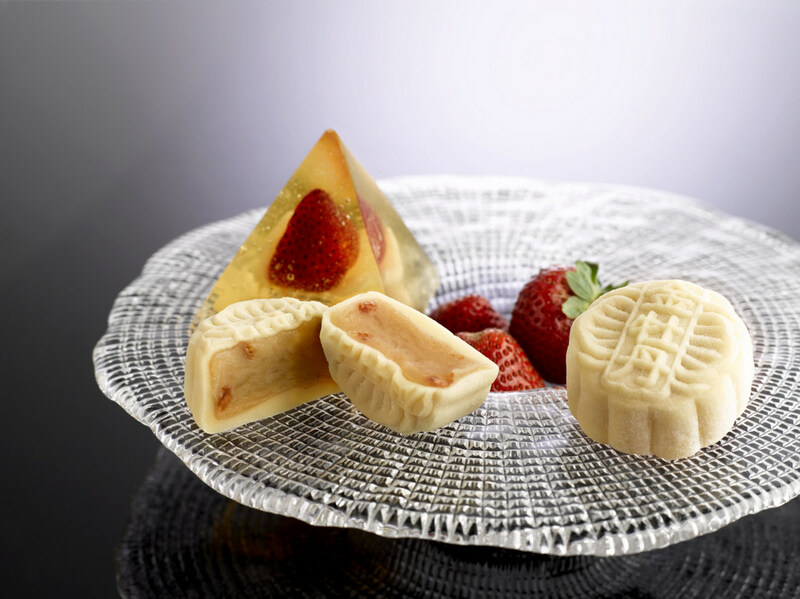 This year sees the introduction of two alcohol-infused mini snowskin mooncakes – Champagne and Strawberry and Rum and Raisin, in addition to two other new non-alcoholic flavours – Cranberry Cheese and Green Tea with White Chocolate. 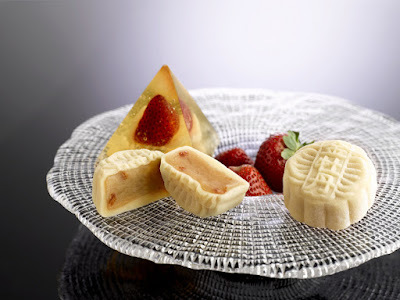 My personal pick is the Green Tea, which reminds me of the Japanese Mochi. 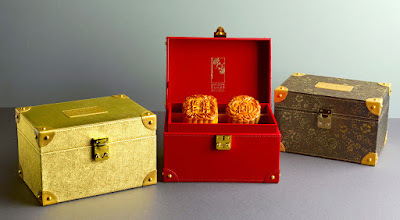 The mooncakes will be presented in three different colour of boxes. Velvet red for traditional mooncakes, Luxe Gold for snow skin mooncakes, and Limited edition Antique Gold with subtle floral print. For order or enquiries, please visit http://www.connoisseur.sg/ , call 6432 7486/7 or 8322 0129; or email email sinci.festive@conradhotels.com.